Arrive where you need to, when you need to. Svippr is free, and makes it easy for you to book a taxi. Have a great journey! 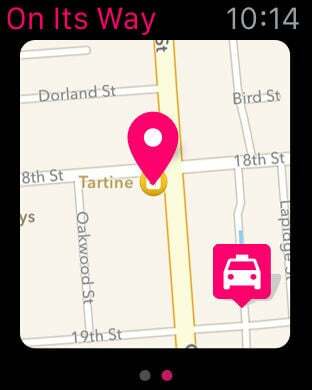 • You can easily book a taxi from the main page, as your position is automatically determined while opening the app. • Pick a credit card to pay with, or choose to pay in the car. • Check that your position and your taxi company is correct and press “order taxi”. It is also possible to calculate a price for the trip before travelling. 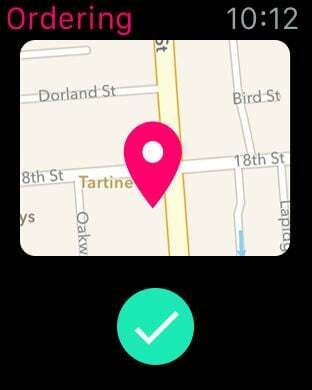 • Watch Svippr assign a taxi and give you the option to follow the taxi in a map until it arrives where you are. • Give feedback after the trip has ended with a great rating. You will also be able to give feedback later on from the history page. • You can pay directly in the app with your credit cards. • Register the cards you use the most often and access all your receipts directly in the application. • Makes it easy to get an overview of what you have paid with previous orders. • Get a simple overview over all previous trips you have had with Svippr. • Re-book trips or give feedback on trips that you have had. 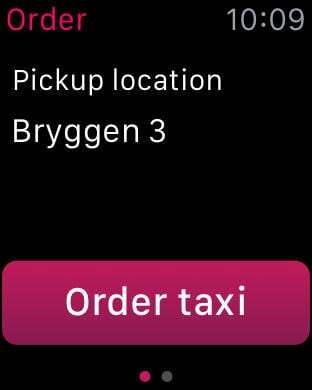 • Use an Apple Watch device to order your taxi. 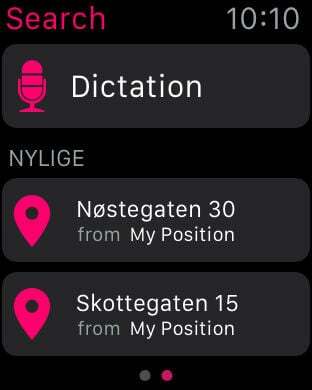 • The application is automatically installed on your watch when you synchronize it with your phone. Visit our webpage at www.svippr.no or send an e-mail to post@svippr.no to give feedback on new function and improvements. Which taxi companies can I book with?